Select your treatment, preferred destination and treatment dates to start browsing available clinics. 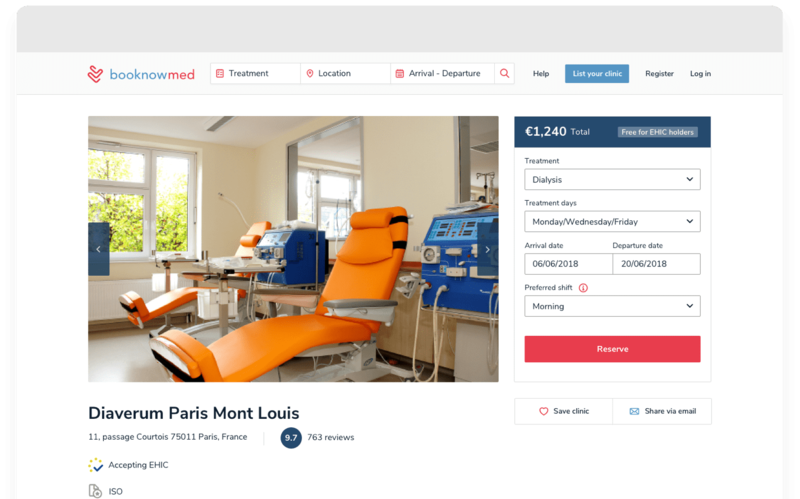 Review hundreds of clinics based on your availability and budget. Manage your bookings directly from your account. Get full support from our team anytime. 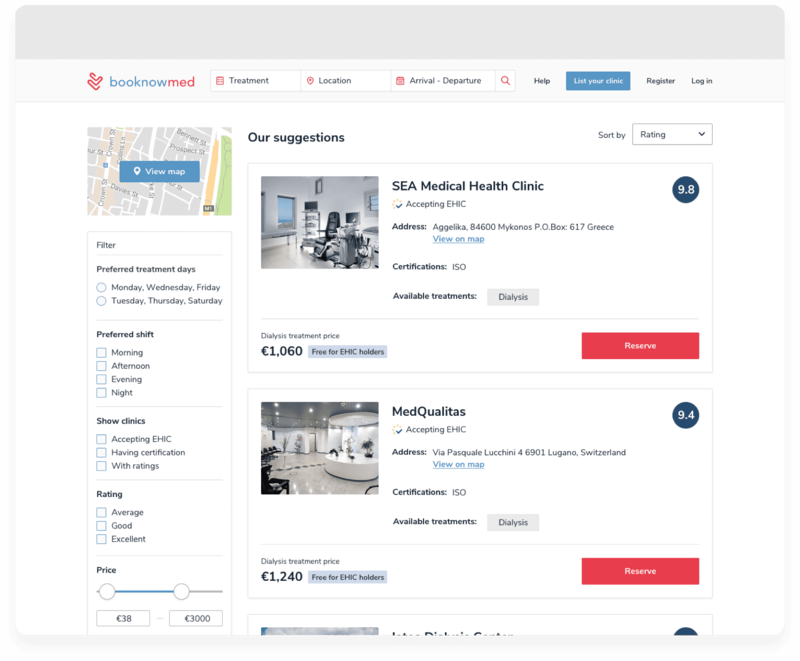 Are you interested in listing your clinic? Join the largest network of clinics & hospitals and start receiving patients from all over the World. Special deals for our subscribers!